ClearConcepts designs and manufactures high quality coloured protective glass surfaces for commercial, residential, retail and hospitality applications. 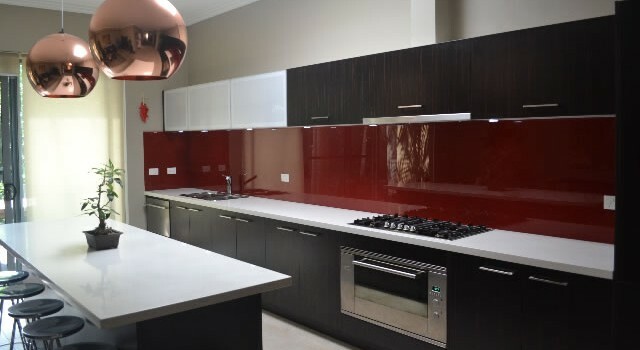 With a large client database comprising of architects, builders, kitchen designers and manufacturers, developers and home owners, ClearConcepts is recognised as an industry leader in the supply of glass feature walls and splashbacks. Custom designed to your specifications. Just call us or request a quote and see for yourself: ClearConcepts is perfectly clear about taking all your requirements aboard, fully discussing what you have in mind and coming up with the right perfect design and solutions for you. • Maintenance free – other than routine cleaning! ClearConcepts is located in Balogowlah, and is ideally located to service all areas of Sydney, including the northern beaches, north shore and north western suburbs of Sydney.